Website developer based on the Surrey, West Sussex border. Building websites for clients in Horsham, Crawley, Guildford and beyond. Website development – to theme, or not to theme? that is the question. First of all, let’s just clarify what is meant by a theme. Many web agencies and website developers will claim they ‘don’t use themes or templates’ but this isn’t 100% true and is frankly a bit misleading. What they actually mean is that they don’t use pre-existing themes or templates. Essentially, this means they create their designs from scratch. 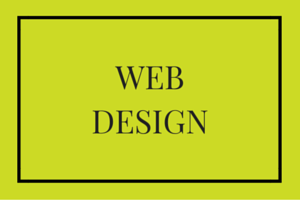 Once any website is built though, the finished product will still then be based around a developed theme. This comes with advantages and disadvantages. Developing websites from scratch is fun, there’s no denying that, but it means that you are totally reliant upon the person designing it to be naturally creative and technically excellent at website coding so that they won’t make any mistakes that could impact your site’s performance. Websites like this also take longer to design and build and they typically cost a lot more. Using a pre-developed theme means that you still get to design the site around your needs, your likes and your brand, but it can save time and come in at a lower budget. Honestly, that’s probably the real reason why many website agencies encourage you to avoid them…they simply don’t warrant as big a spend from their clients. At The Original Wordsmith, I’m a fan of both methods. I’m not against using pre-existing themes if I believe they will be the best option for my clients, or if they are on a tighter budget. You cannot control 100% of your design with a pre-existing WordPress theme, but with a premium theme you can certainly control 95% and for many people this is enough. I will never turn down the opportunity to develop a completely bespoke WordPress theme that is unique to you, but I always present the options and all of the facts so that you can make up your own mind. Furthermore, I’m a highly creative website developer! My own website that you are looking at now, along with the examples that follow, were all built using a pre-existing premium theme. As you will see, the layout, style, colours, imagery and more are all very different. A theme does not mean that your site will look the same as someone else’s. These are just a few examples. If you would like to see more, or if you would like to discuss a WordPress website, please contact me. The Original Wordsmith is based on the border of Surrey and West Sussex but the nature of website development means that you can be situated anywhere. If you are looking for a striking and highly SEO-optimised website anywhere in Sussex, Surrey, or even worldwide, I can help. The Original Wordsmith is a professional copywriting and digital marketing company based on the border of Surrey and West Sussex in Ewhurst, which is just outside of Cranleigh, about half way between Guildford and Horsham and a stone’s throw from London. From my countryside office, I provide creative copywriting, editorial services, digital marketing and web content writing, SEO and website design. You may contact me by email.